If you own a building or are a facility manager, the cost of roofing will always be of concern. With rising materials prices combined with today’s energy costs, managing commercial roofing has never been more critical, in particular for owners and facility managers with multiple buildings. 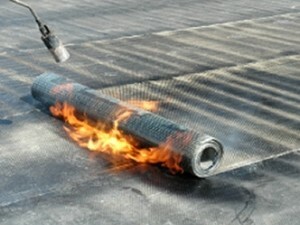 It is for these reasons that a proactive program of roof maintenance can be the most cost-effective approach to ensure the constant integrity of roofing for a commercial property, ensuring any problems are dealt with swiftly, and work done in advance to prevent problems arising, thus removing the headache of a major roof failure. Research has shown that facility managers and owners who undertake a proactive roof maintenance program not only spend, on average, 30% less per square foot than their counterparts who do not, but that proactively maintained roofs have an average 8 years longer lifespan. Our experienced staff will assess the roof of any commercial building on a scheduled basis and advise what, if any, both reparative or preventative works are required to ensure the integrity of the roofing structures and materials. We would also discuss whether restoration or replacement is the best option in the long-term should there be significant matters arising from the inspected roof.